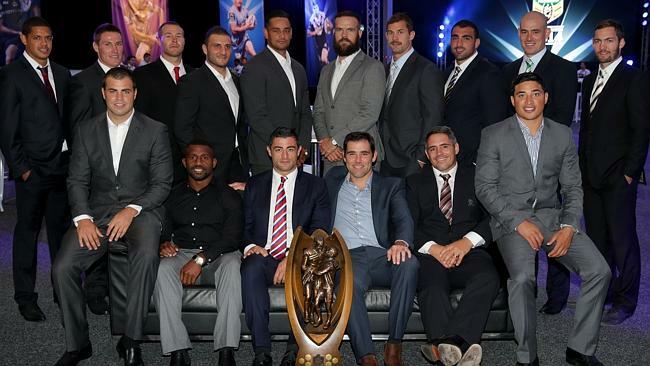 All 12 of my regular readers may remember that last year I ranked the NRL’s top 25 Most Important Players in deciding where the Premiership ended up in 2013. It is a tradition that I am going to continue this year, so before I get into it, I want to run over the ground rules again. I’m looking for the Most Important Player (MIP) in the league in terms of deciding where the Premiership for 2014 ends up. This of course means that a players value is heavily weighted towards how well his team is doing and how much of a chance they have of actually taking home the title. So, a player like Jake Friend might not be the player that Jarryd Hayne is, but given that the Roosters will be fighting for the Minor Premiership this weekend and the Eels will be extremely lucky to sneak into the Top Eight. Friend would be the more IMPORTANT player. With a bullet, James Segeyaro has come from absolutely nowhere to be one of the most influential players on the Panthers side as they try to finish in the top 4 (or top 8 at all for that matter) for just the second time in 10 years. He is their attacking spark with a strong Involvement and Injury value as evident in the Panthers’ disappointing performance again Melbourne 2 weekends ago which Segeyaro had to sit out. As the Manly halves have come into their own this season, the Eagles captain has taken a more subdued role in running the side. That was until last weekend. Needing two tries to win the game with only a few minutes remaining, Lyon took it upon himself to drag his teammates over the line and keep the Minor Premiership within their grasp by scoring one and miraculously making the second one possible. Has the big game experience and skill to come through in the big games when he is needed, and last Sunday showed that he still has it. A true Indian Summer for The Count in his final season in the NRL. His 14 try output has not been matched since 2005 – a time when he was playing for Australia. He hasn’t missed a game all season and his steadying influence on a team that has struggled with second year syndrome at times is invaluable as they head into another Finals Series. He may not have scored as many tries as he would have liked this season, but the use of Brett Stewart as a decoy and a facilitator has increased and allowed other players in the backline to cross the line far more often. 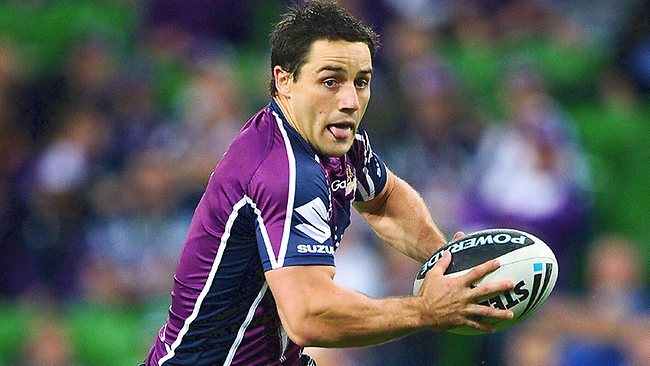 Additionally, the fact remains that he has sheer ability when it comes to scoring tries and if he turns it on, Manly will be even harder to defend. He has a high Injury Value as the Eagles just don’t have a replacement that is ready to fill the same role Stewart does. A fall from last year’s number one spot but still within the top 5. The question is why? To answer that question you have to go back to the form he had last season as he became the most dominant player in the game, capable of single handedly taking over a game and was consistently a threat to any opposition, while being the best last line of defence in the league. It was always going to be tough to maintain. But even still, his form this year has been inconsistent. He has only scored in 6 of his 20 matches thus far, he has drifted out of more games than he has drifted into and his normally rock solid goal line defence has slipped a bit. The real question is how is he still in the top 5? That answer is easy. Even the average bad Inglis game comes with a line break or two and an offload that leads to a 50 metre run. Then when he is on, he is the single most devastating player in the competition. He single handedly beat Brisbane – a top 8 team – three weeks ago, and it wasn’t just a win, he destroyed them. He is one of only about 5 players that is good enough to win a grand final by himself, and not all of those players are in this top 5. He still has a role to play this season. 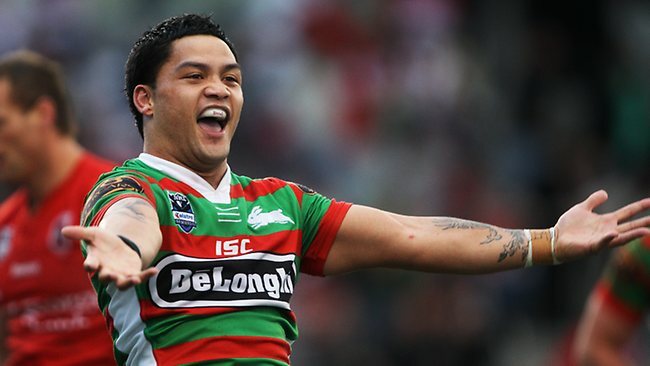 It might be by winning a title by turning up for the finals, or watching Souths bow out again because he didn’t, but either way, his contribution will be significant. Another player that was rated highly in 2013 – and probably ended up being the difference in last season’s title – only to see a slight drop in his impact this year, albeit only a 2 spot drop. He has spent a bit of time on the sidelines this season, with a couple of injuries, but for a player with the unbridled talent of SBW, that just means he is well rested and ready to have a shot at the finals. In spite of missing 6 matches, he is still third in the league for offloads. He is a devastating runner of the ball and hits as hard as anyone, but I am left to wonder if winning the competition last season has taken a little bit of the hunger away. Tonight’s game against the Rabbitohs will tell the real story as he goes up against his running nemesis from the South Sydney forward pack. 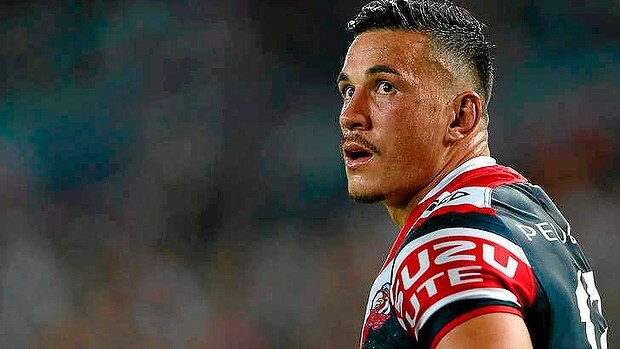 If SBW can win two titles in his two years back in the code, he will have to move into a different conversation of greatness when looking back on his time with the game. 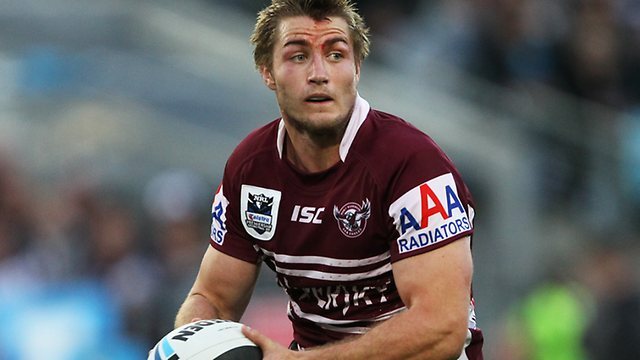 It feels like he has been around forever, but Foran is only in his 5th full season of NRL football. The reason it feels like that is because he plays the game like a wily old veteran. He isn’t the percentage player that Cronk is, but he also isn’t the wild card of a Chris Sandow either. He knows when to take his risks and he knows when to take the smart option. He can occasionally get lost in a game and let it overtake him, but most of the time he knows how to get the right result. It is this clever and steady hand, along with the Eagles’ rise to the top that have seen Foran rocket up the charts from last season. If he keeps making the right decisions, the Eagles will be in a good position to take the title. In what may prove to be his last ever season in Rugby League (though I am skeptical), Burgess has hit the peak of his powers and won the coveted Most Important Player award. He leads the league in hit ups, is second in offloads and 11th in tackles. 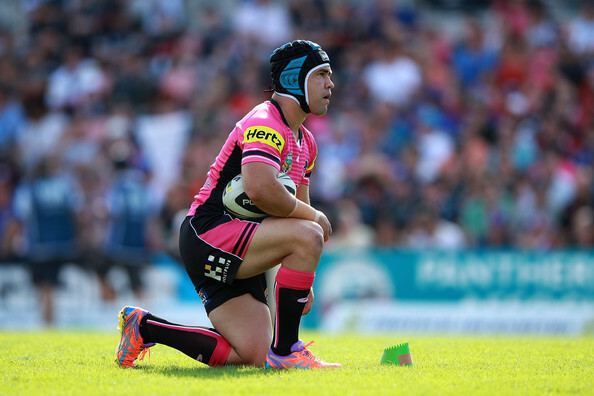 Also, he has scored 10 tries – the same number as team mates Greg Inglis and Dylan Walker. I have been his biggest critic at times in his career but as the season as really ramped up, he has been brilliant. In an important match last week he did something that no other forward in the game is really capable of doing. He put the entire team on his back and beat a top 8 side by himself. It is a role normally reserved for the flashy backs of the game, but Burgess showed how far he has come in the last 12 months by pulling the struggling Bunnies out of a hole that most players couldn’t. 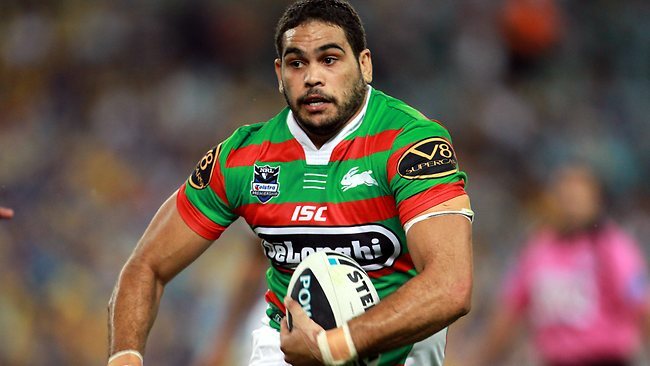 He has more motivation than anyone else to succeed this year and his form in the finals will directly translate to how well Souths do. His Title Value is the highest of anyone on the list. If Burgess is breaking the advantage line it allows Luke to take advantage of the quick play the ball and get the ball to whatever halves combination the Bunnies end up using to bring the likes of Inglis and Walker into play. But it all depends on Big Sam. No pressure buddy. *Though he isn’t even the grubbiest player in his own team by a long shot. Hi, Michael Ennis. **That is no great slight on Penrith, I’ll save my great Penrith slights for later. 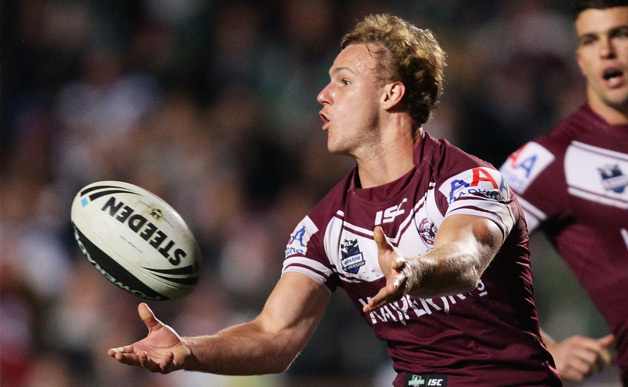 But Manly are on top of the table and deservedly so in spite of some hiccups of late.